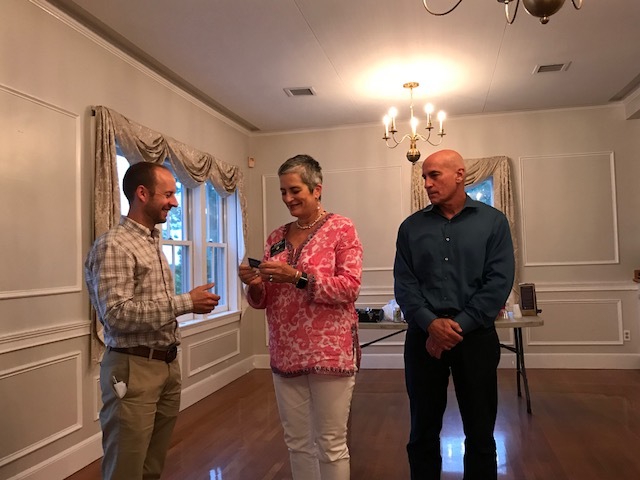 President inducts and welcomes to our two newest members John Herth and Patrick Buchanan along with their sponsor Diane Herth. John Herth is an architect as Sr. Director of Global Design and Construction Services at Dunkin Brands and Patrick Buchanan is a Stock Analyst at Fidelity in Boston. 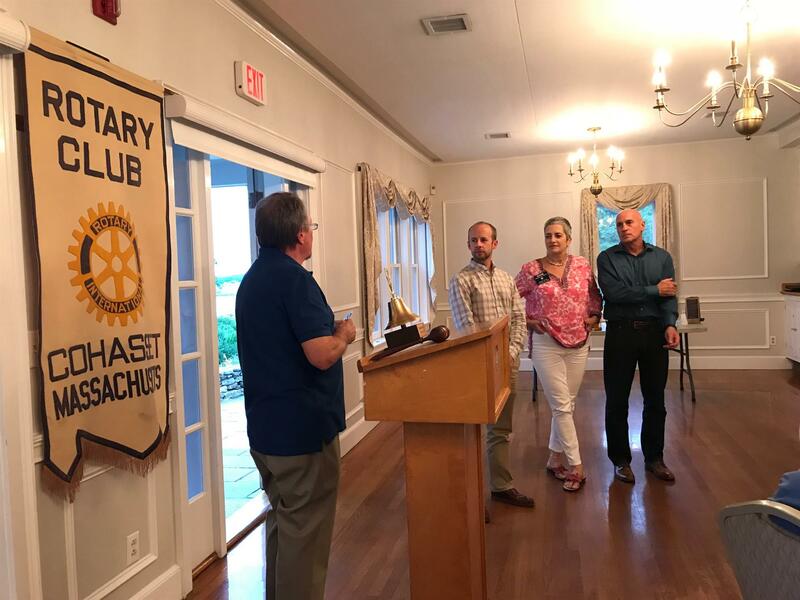 We look forward to them being the inspiration through Rotary!